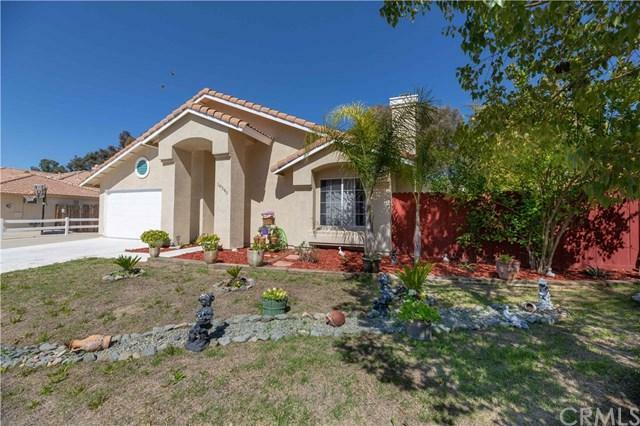 HUGE LOT spacious single story home offers 4 bed/2 bath, laminate flooring throughout, and is very well-kept. A charming fire place compliments the living room, which has high ceilings allowing in lots of natural light. Dining area leads into the kitchen, complete with gorgeous countertops and white cabinets. The kitchen opens into a breakfast nook and a family room, with access to the covered patio and backyard via sliding glass door. 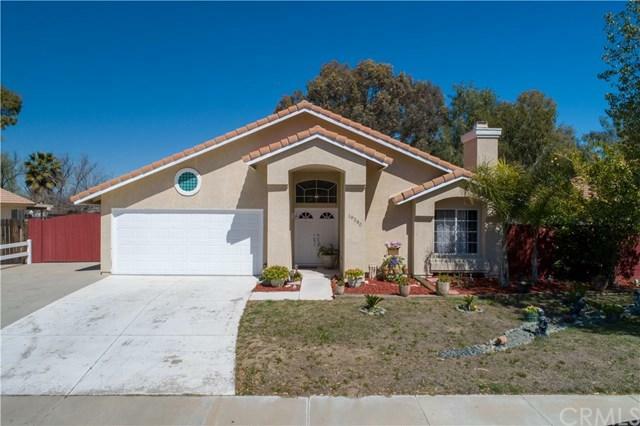 No homes located directly behind this lot means you can enjoy the gorg HUGE LOT spacious single story home offers 4 bed/2 bath, laminate flooring throughout, and is very well-kept. A charming fire place compliments the living room, which has high ceilings allowing in lots of natural light. Dining area leads into the kitchen, complete with gorgeous countertops and white cabinets. The kitchen opens into a breakfast nook and a family room, with access to the covered patio and backyard via sliding glass door. 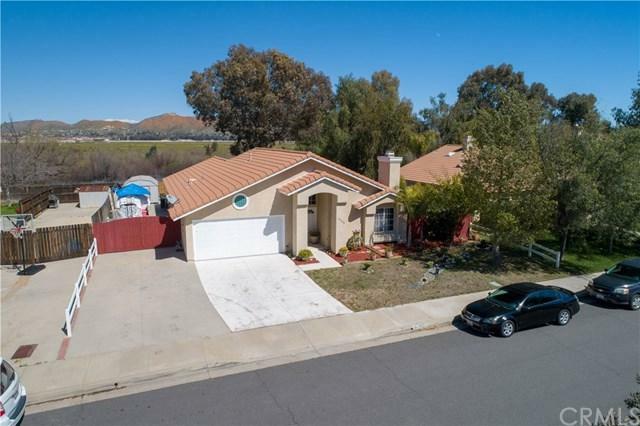 No homes located directly behind this lot means you can enjoy the gorgeous mountain views and the surrounding foothills while relaxing in your own huge backyard. Pull up to an extra large driveway for RV and boat parking and an attached garage with 2 parking spaces. 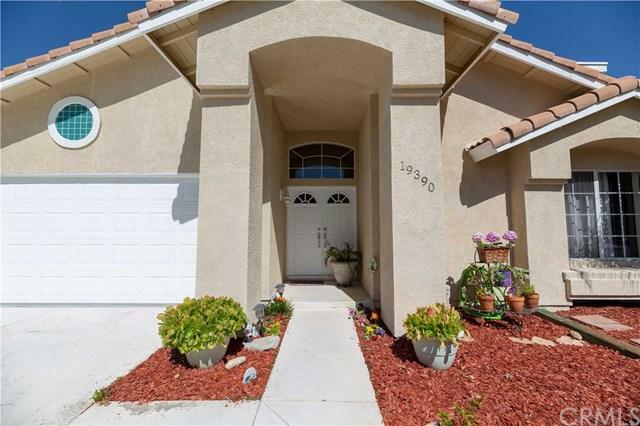 Come and find your place in Lake Elsinore!